I don’t have to tell you how hot the summers can get in New York and last week was one for the books. When I turned my car on the dashboard read 108° degrees and with the humidity it felt more like 120°. To top it off I needed to attend an outdoor engagement party that afternoon. Just the thought of it was stressing me out. 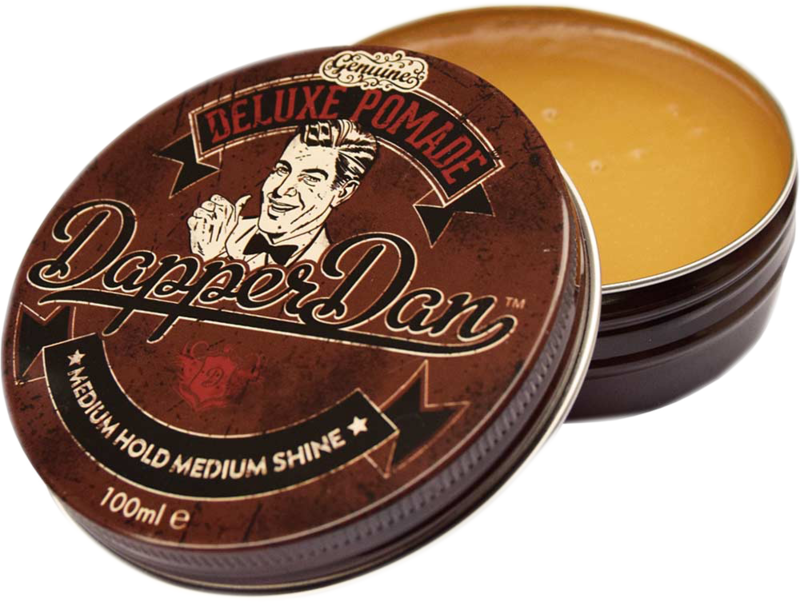 Knowing that I would need to rely on a pomade strong enough for this kind of day I went with Dapper Dan a water based pomade from the UK. 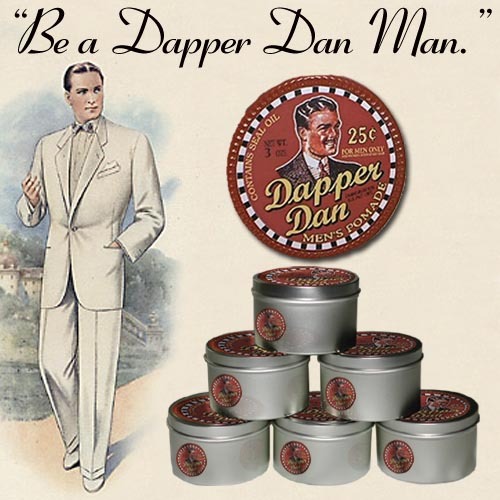 Dapper Dan comes in a brown 4oz tin for medium hold and shine. A thick yellow gel that’s easy to scoop out. A 1950ish black and white line art logo of a man dress in suit and bowtie with his hair slicked back giving the thumbs up for the top of the screw on lid. The tin is light weight gauge so it’s easy to dent or bend I would suggest making sure this is placed on top of your pomade stack. The citrus vanilla is a bold scent with the citrus way up front and will last way over 5 hours so if you plan on using after shave or cologne you’ll need to make sure it pairs well with it. I happen to really enjoy the scent I get complements all the time and the scent does stand out from all the others in my collection. 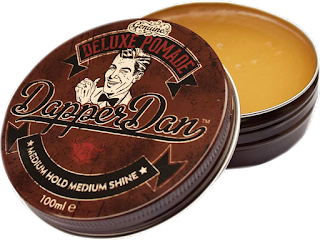 The hold for Dapper Dan is outstanding and perfect for my hair style, short parted on the right side with a small pomp but this pomade would be suitable for any style. The set time is about 20 min and after that your hair WILL NOT MOVE. This makes my hair hard to the touch almost brittle like in texture so to give it a more natural feel I wait about 45min or so and comb my hair again dry. I use the wider teeth of my comb when applying this method. This will break down the hardness and still keep the hold. If for any reason you feel the need to restyle just add a little water to the comb but remember this might create that hard textured hair again. I have to say during the party my hair was perfect never even needed one touch up. That day you could say I was a Dapper Dan Man. In addition to the water base they also offer matt paste, clay and something else I’d like to try their shaving cream and aftershave balm.